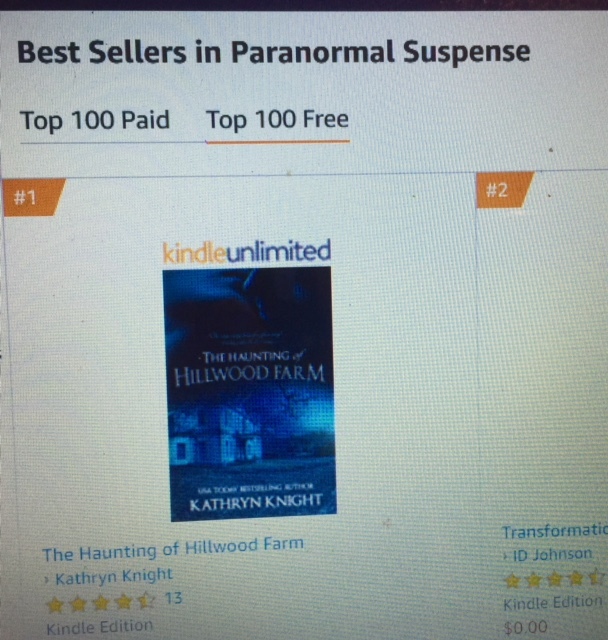 third category Paranormal Suspense that weekend! A big thank you to everyone who took advantage of the Kindle Free Days for my latest release, The Haunting of Hillwood Farm! 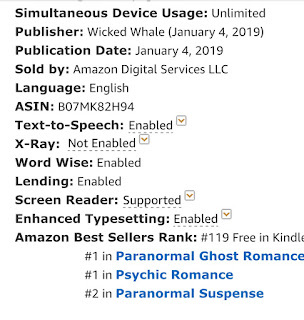 The amount of downloads drove the title to #1 in two categories on Amazon in the free store, and with so many books out there, that's a big deal, even in the Free Store! I hope everyone grabbed a copy enjoys the story...and if you missed the free days, no worries--there will be another opportunity in the next few months. And next month, Dangerous Currents will be available for free (along with about 40 other Romantic Suspense titles! ), so if you want to make sure you get the details, you can sign up for my newsletter here. I only send out a newsletter twice per month, and I would never share emails from my list. Be the first to get book news, giveaway offers, and sales and new releases from myself and other authors I feature. This is my first experience with Kindle Free Days since 2013, when my publisher decided to partner with the new (at the time) program on Amazon called Kindle Select. Basically, to take advantage of "free days" within the Kindle Select program, a title has to be available exclusively (at that time) on Amazon. Gull Harbor had free days in 2013, and hit #1 as well. 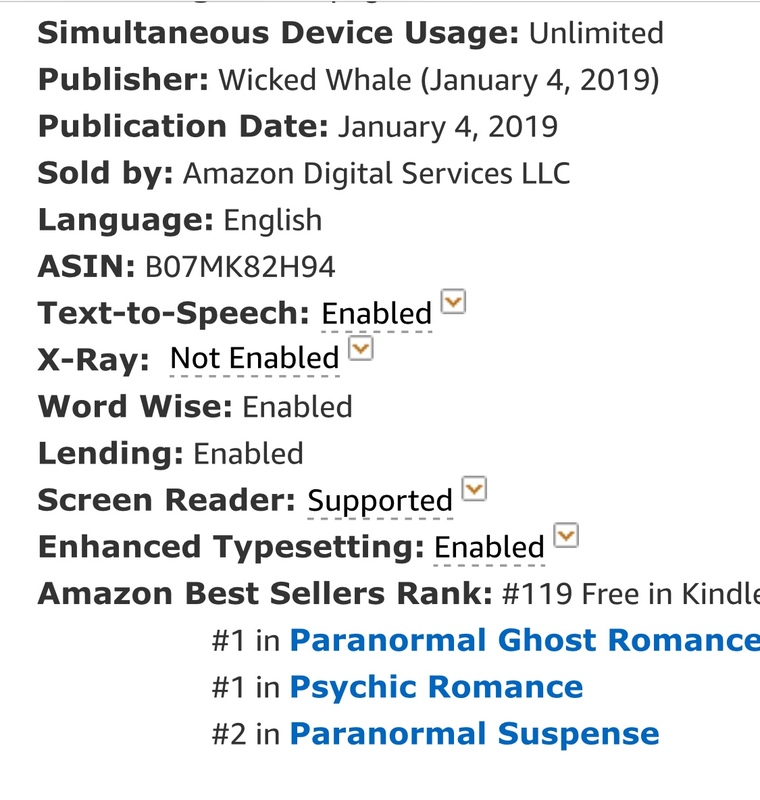 It's gone on since to hit #1 in the paid store on many occasions, which is a *really* exciting event, so I'm hopeful this new book will have similar good fortune. Why give a book away for free, anyway? It certainly seems counter-intuitive, based on the amount of work that goes into writing a novel. But it's a way to gain exposure in an extremely crowded marketplace, and the hope is that readers who enjoy the free story will become fans of other titles by the same author.